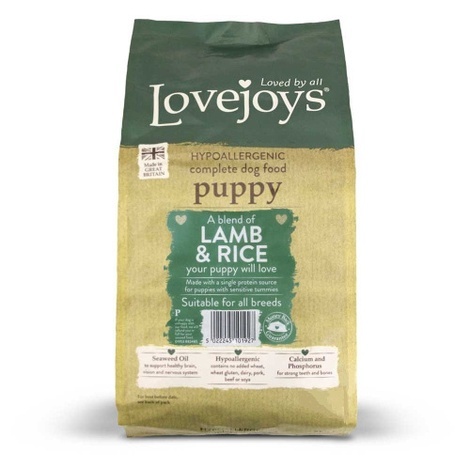 Lovejoys dog food is hypoallergenic, using only a single source of protein and specially formulated to exclude many known allergens, such as wheat, wheat gluten, dairy, pork, beef and soya. 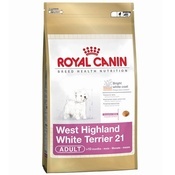 This makes it the perfect food for all dogs, including those with sensitive tummies. 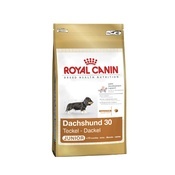 Growing puppies need a good, balanced diet and our puppy food contains a careful balance of calcium and phosphorus to support healthy bone growth and develop good, strong teeth. 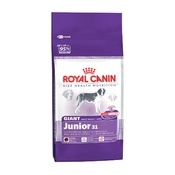 Lovejoys delicious, crunchy kibbles are designed to help remove plaque and tartar from your puppy's teeth, reducing the cause of unpleasant breath in the process. Healthy, happy puppies have glossy coats and healthy skin. Our recipes contain Omega 6 & 3 fatty acids to ensure they always look and feel absolutely tip top.A puppy's immune system needs a bit of extra help sometimes so we add Vitamin E and Selenium to do just that. 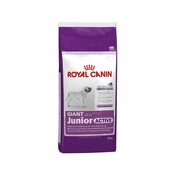 Lovejoys food is preserved using Vitamin E and Rosemary, which are natural preservatives. No added artificial colours, flavours or preservatives in any of our foods. 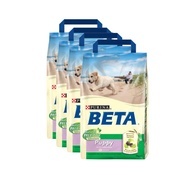 Please note 15kg bag is a breeder pack and is a plain bag with label. All Lovejoys food includes Seaweed Oil because it contains DHA (Docosahexenoic Acid) which supports a healthy brain, vision and nervous system. On top of that, the seaweed we use is sustainable and renewable, making it an 'eco friendly' resource to boot. Antioxidants: E306/Natural Antioxidant 150mg, Vitamins: E672/Vitamin A 15.000 IU, E671/Vitamin D3 2,250 IU, E307/Vitamin E 180mg. Trace Elements: E1/Iron 50mg, E2/Iodine 1mg, E4/Copper 15mg, E5/Manganese 35mg, E6/Zinc 50mg, E8/Selenium 0.3mg.